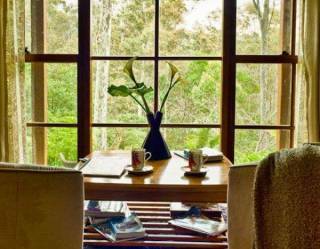 The Dairy is a retreat, just for two, promising absolute relalxation and tranquility. 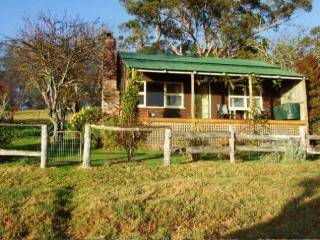 It is situated in a delightful farm setting which adjoins Wallaga Lake National Park near beautiful Tilba Tilba. 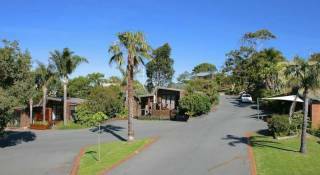 Completely self-contained, The Dairy, which is air-conditioned, has an open plan design and can accommodate two people. It has a queen size bed, a comfortable lounge area with wood fire, books, dvd's and a television; a bathroom and small kitchen. 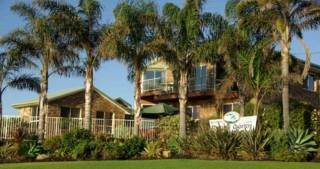 You can just sit and relax under the grapevine covered pergola and admire the abundant birdlife and farm animals, or enjoy some of our relaxing bush walks and lakeside walks. Sorry no pets allowed.